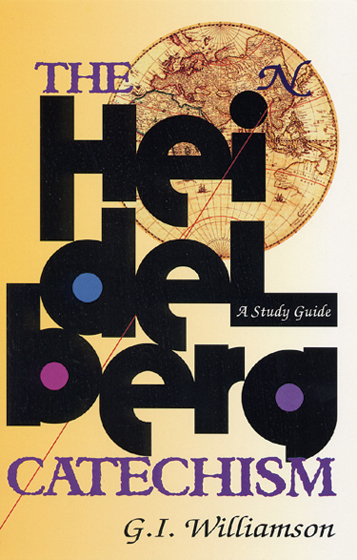 This STUDY GUIDE to the HEIDELBERG CATECHISM includes all 129 questions and answers with clear exposition and questions for review, further study, and discussion. Background of the Catechism: The catechism was commissioned by Frederick III not long after his accession in 1559 to be a proclamation of the biblical faith to the world. Traditionally the writing of this catechism has been ascribed to Caspar Olevianus and Zacharias Ursinus. Yet further research in this century has shown that Ursinus alone should be considered the major contributor. Heidelberg Catechism by G.I. Williamson was published by P & R Publishing in November 1993 and is our 27488th best seller. The ISBN for Heidelberg Catechism is 9780875525518. Be the first to review Heidelberg Catechism! Got a question? No problem! Just click here to ask us about Heidelberg Catechism.